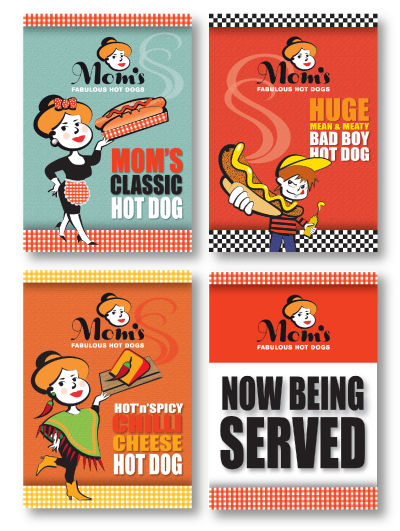 The Mom’s Fabulous Hot Dogs brand is bright, eye catching and memorable. 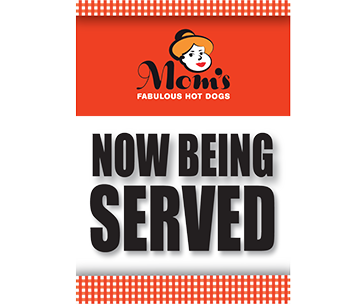 And it’s getting to be recognised as the mark of a quality hot dog. So put it to work for you, with our range of point of sale material. Just tell us what you need, and if we don’t already have a design to hand, we can create it for you.